In an earlier post, "BioPerformance Scam Revealed?" 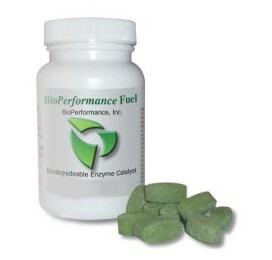 I wrote about a recent TV expose on the BioPerformance company and the BioPerformance gas pills. Well, now the Feds are involved. And the Texas State Attorney General has shut down BioPerformance. He's also filed a lawsuit against them, obtained a temporary restraining order and frozen all the assets of BioPerformance, Inc.
Hmmm, can't say that I'm the least bit surprised! The lawsuit alleges, "violations of the Texas Deceptive Trade Practices Act and the promotion of an illegal pyramid scheme, which can result in penalties of $20,000 per violation." "Abbott Shuts Down Dallas-based Bioperformance For Peddling Fake Fuel Pills In Pyramid Scheme..."
"AUSTIN - Texas Attorney General Greg Abbott today filed a lawsuit and obtained a temporary restraining order and asset freeze against Texas-based BioPerformance Inc. The company, organized as an illegal pyramid scheme, markets a fuel pill it falsely claims will boost gas mileage and save consumers money. BioPerformance Inc., president and owner Lowell Mims and co-owner Gustavo Romero of Irving advertise nationally via the Internet and through seminars around Texas and other states, exploiting the climate of today’s high fuel prices. The company’s ads claim the gasoline pills and powders they offer have a non-toxic “top secret gas pill” that can increase fuel efficiency by 30 percent or more and cut harmful emissions by up to 50 percent. In fact, the additive is basically the chemical equivalent of mothballs, which are toxic. Scientists who tested the product at the University of Texas at Austin and at a Florida university concluded that the pills are mainly naphthalene, the chemical found in mothballs. The Attorney General’s laboratory expert actually concluded BioPerformance’s product could decrease engine performance..."
Consumer Complaint Form - Fill this out if you've been scammed!